Last week I was given the opportunity to give a presentation at the annual TESOL Spain Convention 2019, in my home town Oviedo. I was also honoured to be awarded the Robin de Andrés Grant, which I decided to donate to clowns.org. 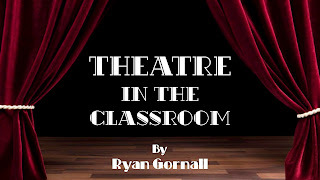 My presentation was titled "Theatre in the Classroom", in which I talked about how theatre can help students learn and improve their English. As part of my presentation I also invited 7 of my students from 6º primary, 1ºESO and 3ºESO to act out scenes from shows that they have performed over the last few years, including The Wizard of Oz, The Jungle Book and Charlie and the Chocolate Factory. I was thrilled to be able to present to a full room of about 60 people, who enjoyed watching these young students perform with such passion. I was able to share some of my experiences during my presentation, hopefully presenting a strong case for the presence of Drama as core subject in the school curriculum in Spain. Over the last few years I have seen my students gain invaluable experience performing in English. The shows have helped them gain confidence speaking English in front of an audience, given them responsibility, exposed them to a wider range of vocabulary and structures, and most importantly, given them a memorable experience that will stay with them forever. For me, it was a fantastic experience being a speaker at a TESOL Spain Convention for the first time and I hope to be able to contribute more to the TESOL community in the future. Thanks Ryan. I loved your show...the kids obviously really enjoyed it...and the audience did too!! Looking forward to meeting you in Salamanca next year!